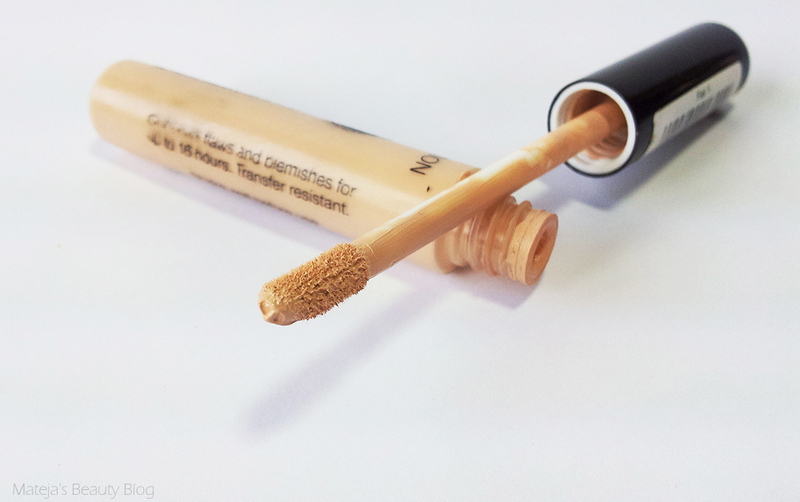 I wanted this concealer for so long and had so many problems getting it, but it was worth it. First, I couldn't find a seller on eBay that would ship it to Slovenia, so I asked my friend, who was just going to London if she could get it for me. She couldn't find a single Superdrug where it wasn't sold out. I gave up and bought EL Maximum Cover instead. Of course I had to shell out 40€ for it, but I'm not sorry. Then in end of January, I finally ordered it on eBay and the package got lost. Fortunately, the seller refunded me and I ordered it again from another seller. This time it took only three days to arrive, I guess I had to get lucky sometime. It is a great concealer, especially for spots. 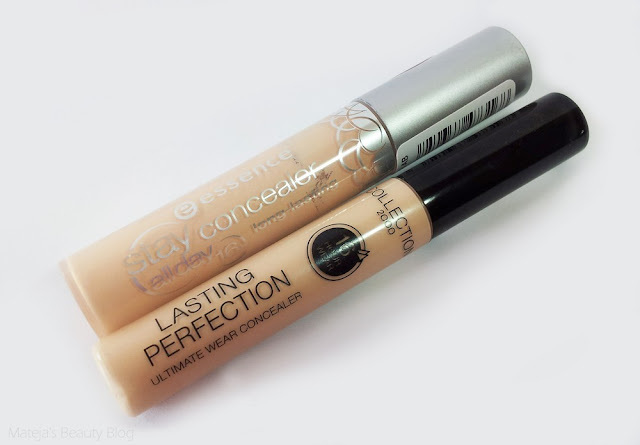 I haven't found a drugstore concealer with so much coverage. Too bad it's not sold in Slovenia, I suspect it'd be a best seller. Coverage is almost full, it's definitely full with two or more layers. It's great for covering blemishes, redness and other imperfections. It covers circles very well, however, I prefer Maybelline's the Eraser Eye for under the eyes because it looks like skin and is brightening. In terms of coverage it's close to Maximum Cover, however, the latter has more coverage and you use far less. 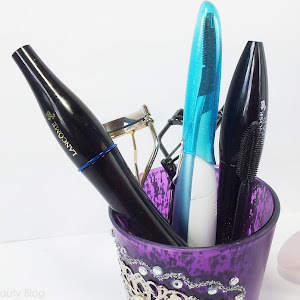 The texture is creamy and thick, it blends nicely both with fingers and a brush. The finish is matte and it's not particularly moisturising. I like a bit more moisturising concealers for under the eyes, so if I feel I need more coverage, I put Collection 2000 on first and then Maybelline's the Eraser eye on top to brighten it a bit and to avoid it looking cakey. Because it sets matte, it can look cakey on dry skin, but this becomes more of an issue when it's wearing off. If your skin is dry, I suggest using a heavy moisturiser underneath. 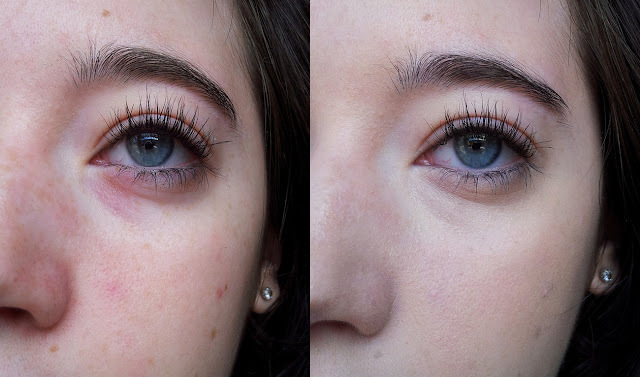 Staying power is amazing for a drugstore concealer. It outlast all of my foundations apart from EL Maximum cover. My only problem is that sometimes it can look patchy when it wears off. It have the lightest shade called 1 Fair which is a very light shade with neutral to yellow undertones. It's definitely not as yellow as Essence Stay with me 10 or Healthy Mix 51. Packaging is a slim tube with a doe foot applicator. Like so many reviewers, I noticed that the writing wears off fast. As I said I bought it on eBay for 9€ with shipping. It's sold mainly in the UK in Superdrug. 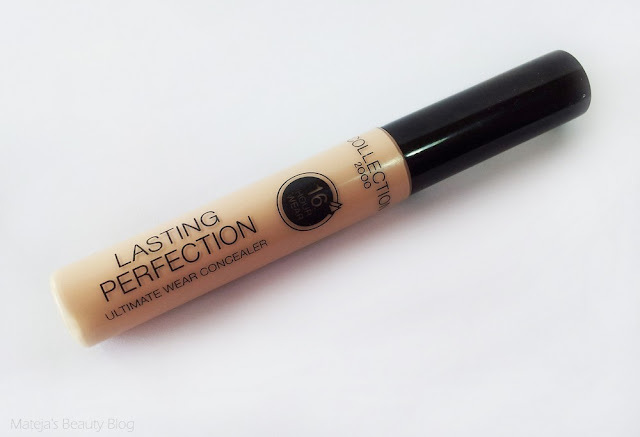 This is a lovely full coverage and long lasting concealer that works well especially for covering spots. It's exactly what I've been looking for covering blemishes, but I couldn't find in our drugstores. I'll definitely keep it in my bag for on the go. Kakor vidim, ste vse blogerke in Youtuberke navdušene nad tem izdelkov, res škoda, da ga ne prodajajo pri nas. Prekrivnost je res odlična. No če ti pa še to ne prekrije, ti ostane Maximum Cover ali Dermablend. Samo sta pa seveda dražja, no vsaj MC. I want to try this so badly but it's not available in my country! :( I am determined to get my hands on is asap, everyone raves about it, so it must be good! ((: Great post! Bo treba prišepnit ličilom.si ;), da uvozijo za nas. in sem zelena od zavisti. Se strinjam. Edino me skrbi da ne bi oni to prodajali po kakšni nerazumni ceni, kot naprimer prodajajo tiste paletke ki jih dobiš za 10$ na eBayu. Hvala :D. Če bi vsaj ostale zavihane, da bi še izgledale dolge v živo bi bilo krasno.